IQS Directory provides an extensive list of jaw coupling manufacturers and suppliers. Utilize our website to review and source jaw coupling manufacturers with our easy-to-use features which allow you to locate jaw coupling companies that will design, engineer, and manufacture jaw coupling for your exact specifications. Our request for quote forms make it easy to connect with leading jaw coupling manufacturers. View company profiles, website links, locations, phone number, product videos, customer reviews, product specific news articles and other production information. We are a leading manufacturer directory who will connect you with the right manufacturers whether you are looking for polyurethane jaw couplings, steel couplings, or torque jaw couplings. DieQua prefers a consultative approach to determine the optimum solution for the specific jaw couplings you are looking for. While there is a lot of information on their website for your personal investigation, DieQua’s friendly & experienced team invites you to call them with your questions. It's through identifying YOUR unique needs that DieQua can be most effective. 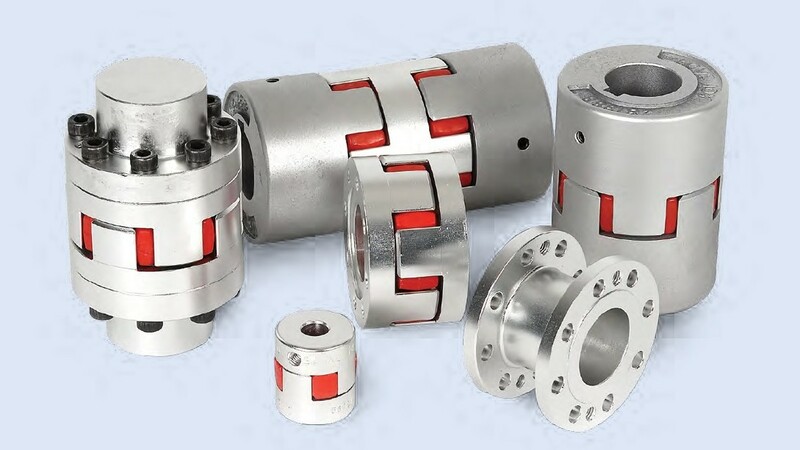 Niche shaft couplings manufacturer System Components offers a combination of highly specialized automotive expertise, skilled engineering & unbeatable prices. Let our team of engineers & service representatives help you find universal joints, spicer u joints, cardan joints & custom power transmission components made with CNC machining & high-grade steel. Zero-Max® has created innovative coupling solutions for motion-control problems worldwide. Products include Servo Class® Couplings, CD® Composite Disc Couplings, and Control Flex® Couplings for zero backlash and difficult 24/7 applications. Ondrives.Us Corp products can compensate for axial, angular and parallel misalignment with zero backlash rino beam flexible shaft couplings. They can also compensate for large amounts of parallel misalignment and get zero backlash in rino Oldham shaft couplings. Increase in torque with rino double loop flexible couplings. We promise rapid response to questions from your own sales representative. We treat all of our customers as if they were family in order to bring the best services possible. Our supportive teams of designers and engineers will be able to match you with jaw couplings that will astound you with their product value. We are a company with a rich history and an innovative background. We have customer service representatives that are standing by to answer your questions and concerns. Send them an email today to learn more! Jaw couplings are a type of compression coupling that control motion by transmitting torque and dampening vibrations that could cause damage to other system components. They are composed of a polyurethane-based elastomeric part called a spider that joins two hubs made of sintered metal, aluminum, standard steel, stainless steel, bronze or iron. These three parts are press fitted together with a jaw from each hub fitting into the elastomeric element's grooves. Jaw couplings are resistant to oil, dirt, grease, sand and moisture and do not require any lubrication. One drawback of jaw couplings is that they lack misalignment capability. Unlike a bellows coupling which is flexible, jaw couplings will come apart if the axial motion is too great. Angular or parallel misalignment can cause it to bear loads that are higher than other similar couplings. Jaw couplings have the basic shape of a gear but are in fact quite different from gear couplings. Jaw couplings do not use the large blunt teeth to move or rotate as would be the case in a set of gears. Instead they provide interlocking action for the spider and hub, keeping the assembly together while providing effective vibration dampening. Jaw couplings are used as motor couplings for pumps, gear boxes, compressors, blowers, mixers and conveyers for industrial manufacturing applications. The elastomeric element is often referred to as a spider because of its shape-circular with an even number of legs jutting out. It serves to dampen impulse loads and minimize shock to a motor. The polyurethane used can be either soft, which provides better vibration dampening, or hard, which gives the spider more strength. The elastomeric material that the spider is made out of is available in different degrees of hardness which gives the operator more control over how much vibration the coupling absorbs. It can be customized to the specific application. The hubs have curved jaws that interlock and reduce deformation of the spider which prevents backlash. These couplings are considered fail safe because if the spider malfunctions, the jaws of the two hubs interlock and create direct power transmission so the vehicle can shut down safely. Jaw couplings perform the best for applications that use a stop-and-go type of movement that also require accuracy. Varying amounts of vibration absorption have a direct effect on the length of settling time where the system pauses briefly to perform an action or movement quickly and precisely. If vibrations are mostly absorbed then the system does not have to hesitate before performing an action which increases the speed of the line. Jaw couplings are accurate while still; they are not optimal for applications in which precise movements are required during movement. 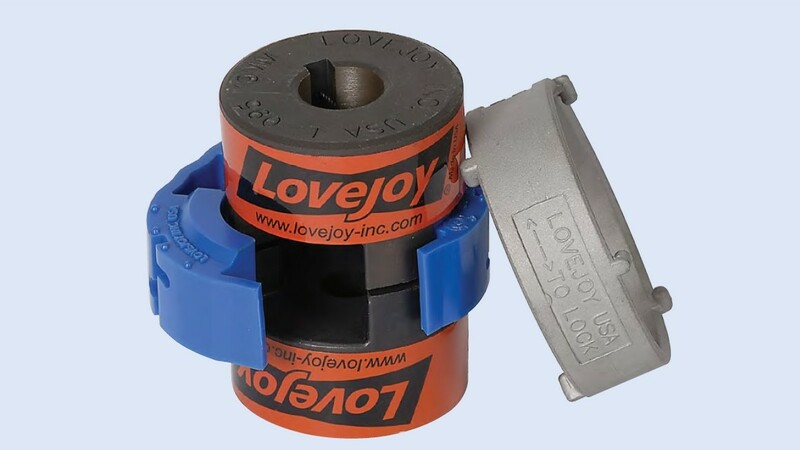 Jaw Couplings - Lovejoy, Inc.